Seven years ago, Franco Brockelman’s mom was diagnosed with psoriatic arthritis. Watching her pain grow from an annoyance to a chronic condition, with endless treatments being unable to provide her with relief, he suggested an alternative that he was almost sure she wouldn’t go for — cannabis. After convincing her to try the stigmatized plant, Brockelman researched strains that would hopefully help. He stumbled upon a strain called “Master Kush,” which, from online reviews, appeared to have all the necessary “ingredients” to target her specific medical issues. Unfortunately, it only caused her sleeplessness and an increase in pain. Brockelman realized that a better resource was needed for understanding cannabis strains and to determine what would actually provide his mom the comfort she needed — a resource that was able to factor in the numerous differences between individuals and the strains they were consuming. 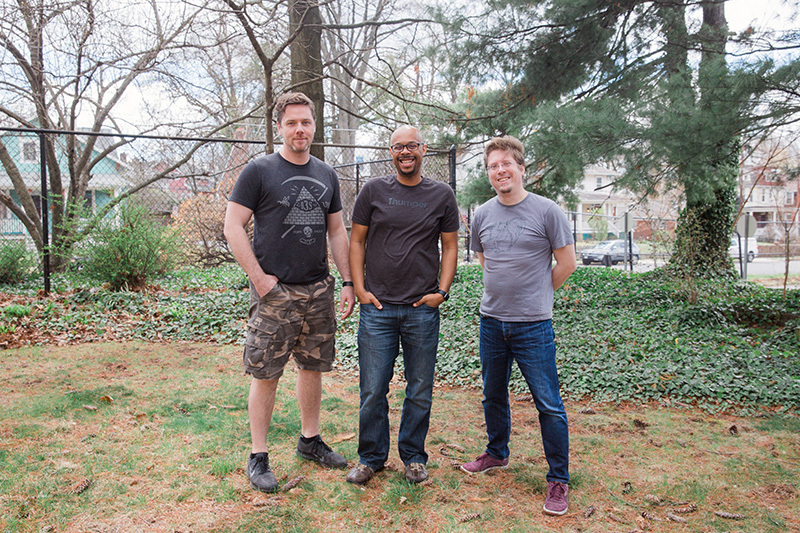 The Releaf team from left to right: Franco Brockelman, CEO & Founding Partner; Keenan Keeling, Co-Founder & COO; and Branden Hall, Founding Partner & CTO. The app allows users to detail the strain of cannabis they’re trying in real time, track their successes/failures with each strain, and share their results with other users — all while maintaining the consumers’ privacy. Brockelman and Hall went on to explain that there are a number of other issues associated with the strain and how it is grown that can make it difficult for patients to figure out what is going to be the best treatment for them. These issues could include pesticide use, factoring in the chemotype of the strain, or whether or not certain terpenes are present. In order to expand their tool from the individual user to a wider audience, Releaf has recently partnered with dispensaries, such as Takoma Wellness, to disseminate the information patterns that are appearing on their app. Partnered dispensaries are also able put their information into the app, which creates an important feedback loop for the industry. While they continue to grow their app and the resources it provides, Releaf recognizes the importance of keeping their user experience centered on the individual patient. To learn more about the Releaf app and their new dispensary program, visit releafapp.com or download the app from the Apple app store and Google Play. Chloe Detrick is a communications professional and freelance writer located in the D.C. area. She is particularly interested in medical cannabis research focusing on physical and mental health issues, sentiments surrounding the plant, and harm reduction principles. Follow her cannabis pieces and other ramblings on Twitter.